This project is underway, we have a few applications in development, details below. Now that the Gemini PDA is in the hands of a few people we are able to start working on the drivers as well. Our applications are compiled by a jenkins build server directly to an apt repository, in both amd64 and arm64. As we have no access to the devices we have no way of properly testing or picking sensible zoom levels to start so you will likely have to press ctrl-m a few times before the text is readable. The current release is more aimed at use on x86_64 desktops (called amd64 in debian builds). The arm64 builds will work on the Gemini. 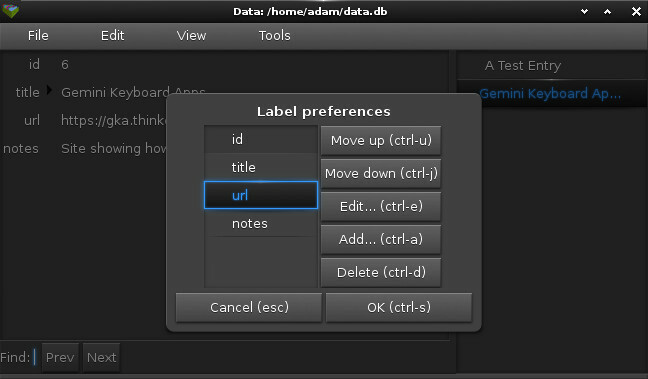 This application is a touch+mouse+keyboard interface to the contact data stored by any of the debian system contact applications that 'folks' knows how to interrogate, eg Evolution (Groupware Suite). 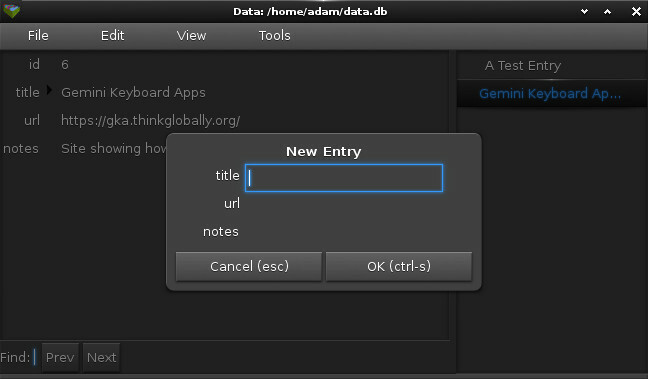 Currently it supports adding and editing of contact data, URL's and addresses can be launched. 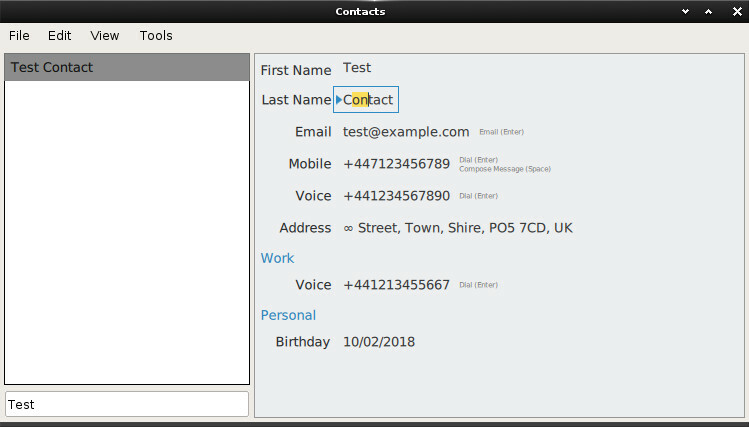 The Contacts search screen showing how text can be selected and items within the contact used to launch other applications. 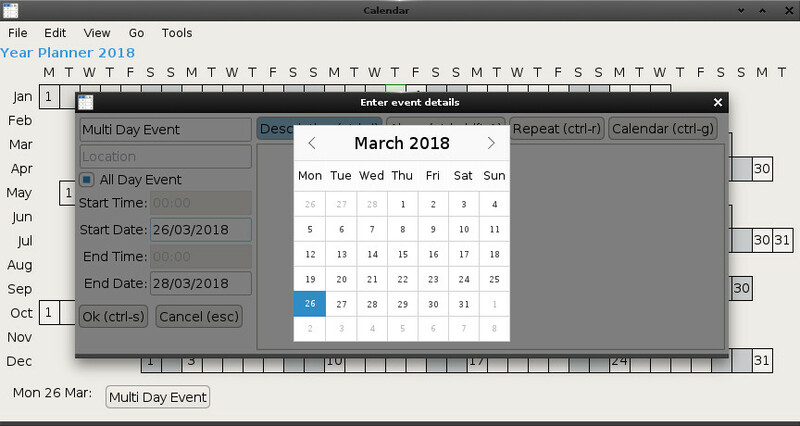 This application is a touch+mouse+keyboard interface to the calendar data stored by Evolution (Groupware Suite). 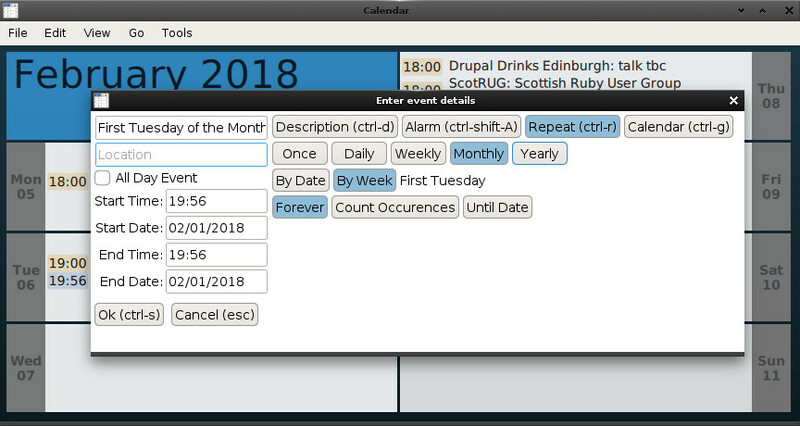 Currently it supports Day, Month and Year views, with adding and editing, including alarms and repeats (including n'th week in the month). 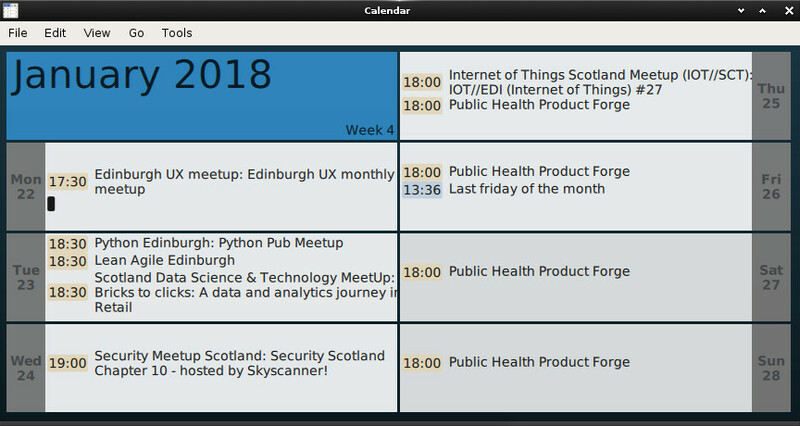 The week view showing mostly events synced from the internet (the Edinburgh tech calendar), and one last friday of the month repeating event. 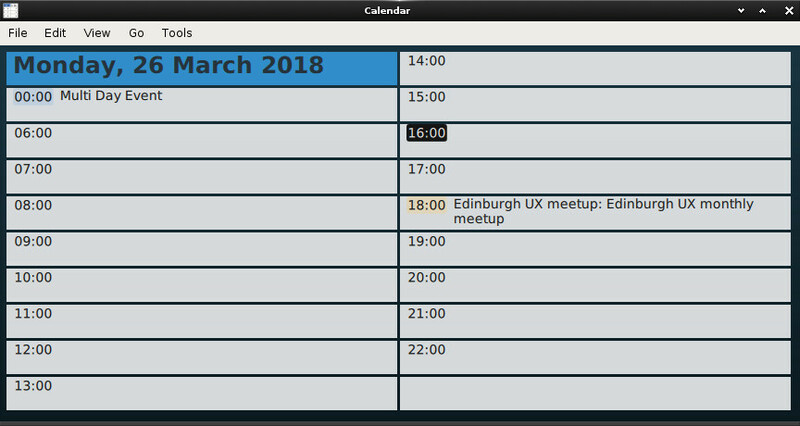 The year planner view, showing the event dialog with the start date popup. This application lets you enter simple card style data, it is an experiment in how far you can push keyboard operation within the EFL ui toolkit, probably gets a 50% score with the current implementation. If you stay purely driving it with the keyboard then the focus stays in the right place and the app is usable until you get to the file dialogs which have not yet been rewritten to use the keyboard. Alternatively if you stay using just the mouse/finger things also work out. But if try to mix and match it sometimes gets a bit confused. Coding writeup on the GKA wiki: DataEFLFindings.